I've been a Kristen Bell fan since Veronica Mars. 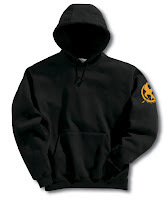 And now that I've discovered she loves The Hunger Games, I'm an even bigger fan! Check out these tweets she's written about her love for The Hunger Games at Entertainment Weekly. She tweets about her choice between Peeta and Gale, how she loves Katniss, and how excited she was when the book arrived-she even posted a picture of Mockingjay. Not only has she tweeted about the book, she's sharing it with friends, talking about it in interviews, and reading the series multiple times! Thanks Kristen for spreading the word about the series and reading-you rock! What do you think, Kristen Bell for an ALA READ poster?? About the Book: The third and final book in The Hunger Games trilogy. Rebellion is happening, Katniss is wanted to lead it, but she doesn't know if she can. No one is safe as the Capitol and the rebels fight in a powerplay and Katniss is in the middle of it all. Can she save the people she loves? Will the rebellion take down President Snow? GreenBeanTeenQueen Says: I bought the book at midnight and had it finished five hours later. The story was very engaging and action packed and I had to keep reading-even if it meant staying up all night!! 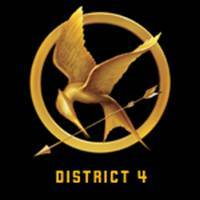 Mockingjay, and The Hunger Games trilogy in general, are books that beg to be discussed. After Mr. GreenBeanSexyMan read it, we spent an hour and a half talking about Mockingjay, and probably would have talked more if sleep hadn't taken over. I really feel like the books have a wide appeal and would really be great for a multi-generational book discussion-I think different ages will view things differently and I really can't wait to talk to my teens about it. This one has a different feel than the previous two-there's more war prep and combat than the other two books, but that's to be expected I guess, given that a rebellion is happening. There's also more on-page violence than in the first two books, which was somewhat jarring considering the first book had a lot of off-page violence. But then again, this is more of a war story and in war there are casualties and Ms. Collins never shies away from the pain and realities of war and its affects on everyone. I really loved that there wasn't an easy way out-the author shows that there never is an easy solution and that the path getting to the end isn't going to be easy-nor is the recovery. War will always have an effect on those involved and there's never an easy answer. I also loved the fact that while District 13 was found, they weren't an immediate savior and made everything better-District 13 wasn't perfect and the utopia some might have expected. The characters are very broken-think of all Katniss has been through leading up to this point-and throughout the book she switches between being strong and letting her broken state weigh her down. To me this made her even more realistic. There are lots of new characters introduced, but you get to know many of them, even if they are supporting characters. Ms. Collins has a way of writing about the supporting cast that makes you know them and care about them even if you haven't known them the whole series. Plus, she gives main characters who we haven't really gotten to see or know about from the first two books a time to shine, which I really enjoyed. Overall, I was satisfied with the ending and thought it was a great and realistic conclusion to the series. Why only 4.5 Stars? MAJOR SPOILERS!! Highlight to see: I really felt one of the main four-Gale, Peeta, Haymitch or Katniss needed to die. I felt by having all of them come out of it all alive, even while damaged, was a little too perfect. I also thought there was just a bit of the of combat training narrative that could have been cut-for me, that dragged the book down a bit. I loved what The Compulsive Reader did and made a Mockingjay Spoiler post. So those who have read it-spoil away-let's discuss Mockingjay! So you've been warned-there are spoilers here!!! 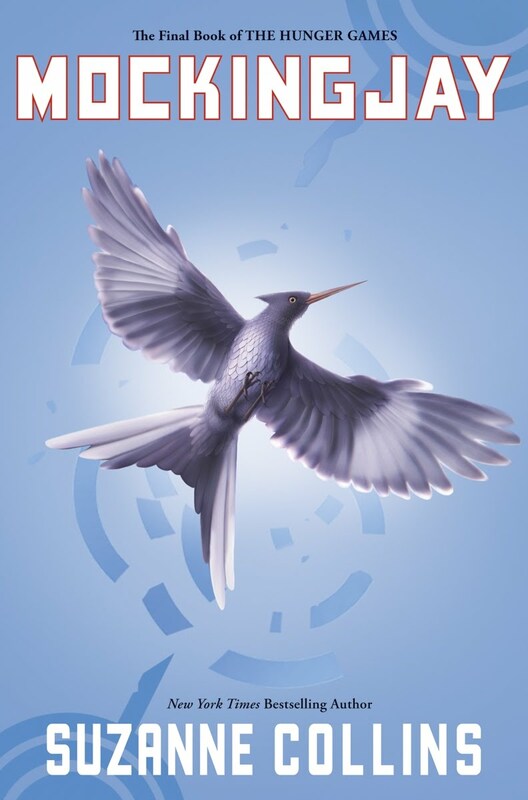 And be sure to check The Compulsive Reader for more Mockingjay discussion! Tween Tuesday is a Weekly Meme hosted here at GreenBeanTeenQueen that highlights great reads for tweens! 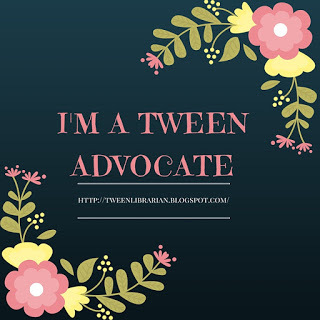 Join the fun and include the link to your Tween Tuesday post below. About the Book: Fed up with her normal life, Claudia Kincaid decides to run away. But this isn't your typical running away, as Claudia and her younger brother Jamie run away to the Metropolitan Museum of Art. They discover the museum during the daytime and hide in it's treasures at night. One day an art mystery lands at the museum in the form of a small angel statue. Could it have been the work of Michelangelo? Claudia and Jamie decide to find out-and they'll need the help of the eccentric Mrs. Basil E. Frankweiler to uncover the truth. GreenBeanTeenQueen Says: I decided to feature my all time favorite tween read as today's Tween Tuesday read. Yes, it's an oldie, but it's such a goodie!! I first read this book (or actually listened) in fourth grade. I checked out the cassette tapes from my library and listened to the book every night before bed for the three weeks I had it. I wanted to be Claudia. I wanted to run away and live in a museum and uncover the truth about an ancient statue. Of course, there was no way this adventure would happen to me in real life. I was terribly painfully shy as a tween, but when it came to books, I could be whoever I wanted. And when I was Claudia, I was adventurous, brave, solving mysteries and hiding in a museum. I could live out the adventure through Claudia and Jamie. 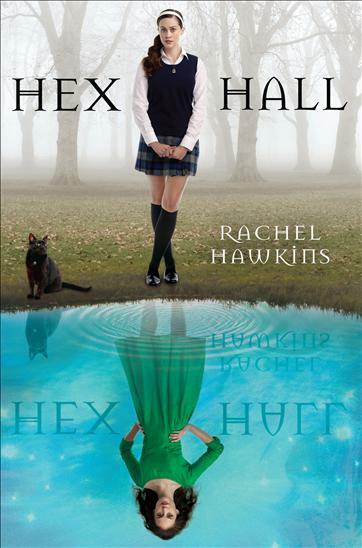 That's a very powerful thing for a reader-especially tween readers-and that's one reason this book meant so much to me. 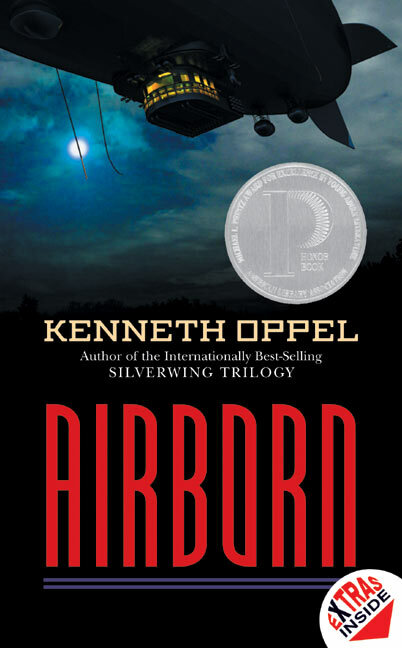 I re-read this book for my children's lit class last year and it had the same charm and adventure that I remembered. Some of the references are outdated for today's reader (Claudia and Jaime get coins from the fountain and eat for very cheap and there's no way a stunt like the one Claudia and Jaime pull off could happen in today's high tech and security filled world) but that can easily be overlooked. I love the fact that while there's a mystery in the story, this isn't a mystery book, so it's accesible to all sorts of readers, even those who don't typically enjoy mysteries. Reader's will be swept away on an adventure and you'll never look at a museum the same way again. I can't wait!!! Everyone else excited?? I love that my teen library council helps me plan programs, but sometimes they give me a program idea that sounds great but I have no idea what to do with it! That was the case with the Moonlight Masquerade Ball. The TLC group suggested we have a paranormal masquerade ball and I loved the idea, but none of us knew what that would include. Even when teens, parents, or other library staff would ask me what a paranormal masquerade ball was I would respond with "I don't really know, we'll find out after we have one!" I planned the ball for the end of May-still when school was session but right before summer got into full swing. I held it on a Saturday night at 7 in our big auditorium at the library. I asked staff for any Halloween decorations or Christmas lights and was given some great black fabric, a black wreath, and a spooky ghost. With the help of the pages we hung lights all around the room, and put the black cloth on the tables and hung some of it on one of the walls. I bought red and black tablecloths and placed tables around the corners of the room leaving the center open as our dance floor. I had some teen volunteers blow up black and red balloons and place them around the room. I turned off all the lights except for the dimmers and the Christmas lights gave the room a cool effect and the room felt like a ballroom. I had various "stations" set up for those who didn't want to dance. Of course we had a mask making station! I used the mask cuttout and our Ellison machine and put out various crafting supplies-sequins, feathers, ribbons, glitter paint and popsicle sticks to hold the masks up. The masks were the hit of the evening and everyone made one. I also had a station with a worksheet I made to match the characters to their paranormal book. I served cookies and red punch. And of course, being a librarian and a library program, I had a display set up with paranormal reads and this display was picked over at the end the program. The teens loved the dancing and spent most of the evening on the dancefloor. Lady Gaga and the Cha-Cha Slide were the most popular requests. Since Mr. GreenBeanSexyMan and I had made our own playlist for our wedding reception we still had a lot of the music on our iTunes, so we sorted through our dance songs and make a masquerade ball playlist. I made sure to included Thriller and Monster Mash to go along with the theme! About halfway through the event, I had the teens play a game of "pin the tale on Jacob." I printed out a big picture of Jacob and the teens made tails out of construction paper. I had candy bars for the winners and all the teens that played had a good laugh over the game. At the end of the event I had a prize drawing. A few days before I visited Borders and stocked up on New Moon bookmarks and key chains which were discounted to 75% off-great for an event with a budget!! I'm planning another dance event for next year and the TLC and I are thinking of making it a "Geek Prom." I can't wait to host another event like this. It took a lot of setup, but the event was worth it and the teens loved it-besides, who wouldn't love the library after dancing to Lady Gaga in it? 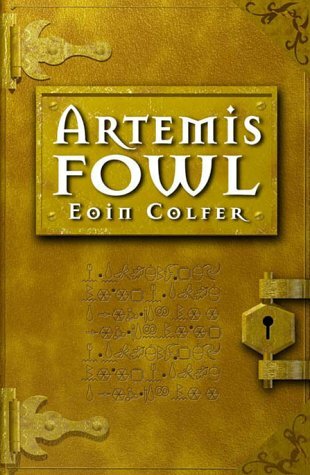 -Margo from The Fourth Musketeer posted about her experience at the Artemis Rocks tour with Eoin Colfer and Artemis Fowl. 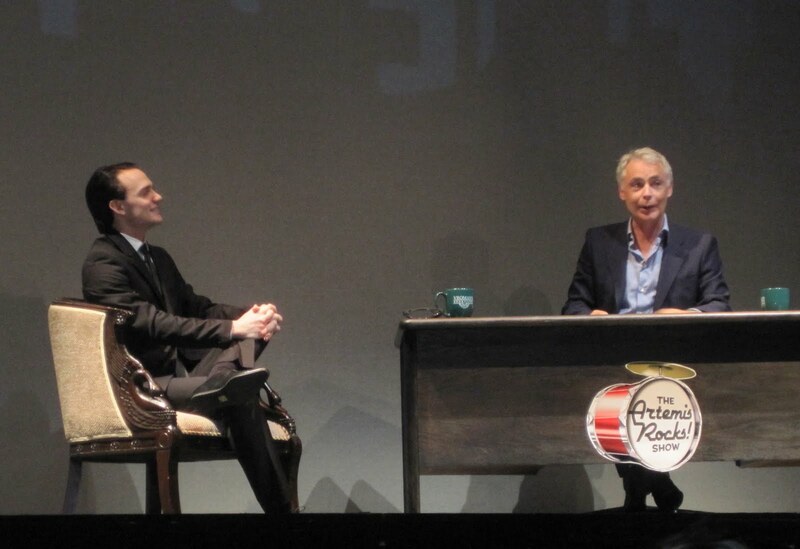 Tour dates for the Artemis Rocks show have been posted on the Artemis Fowl site, so be sure to check if the tour is coming by you. -Ivan Reitman has the upcoming YA novel The Kid Table by Andrea Seigel in development as a movie. The book comes out September 14 and is about Ingrid and her cousins who have to sit at the "kid table" at family functions, but when one of them gets promoted to the "adult table" each cousin comes up with a plan to get promoted as well. Thanks to Cynopsis Kids for the news. -I Am Number Four the book was released on August 3 (read my review) and I Am Number Four fans can participate in games and challenges and win points on the I Am Number Four fan website for a chance to win a trip to the movie's premiere. Thanks to Publisher's Weekly Children's Bookshelf for the news. -Peter Cameron's YA novel Someday This Pain Will Be Useful To You has a movie in the works and starts filming next month. Check out the casting information from Hollywood Reporter. I really love that Hollywood is not just buying up film rights to big name novels, but that a lot of YA books are getting the film treatment. -Vampire Diaries has a season two trailer up on Entertainment Weekly that sadly I can't embed here-so you'll have to click over to watch it. I'm so behind on that show and I need to catch up!! -I went and saw Scott Pilgrim last weekend and LOVED it! If you haven't seen it yet, go do so-it's awesome. They really made it a graphic novel come to life so perfectly. If you've seen it, I'd love to hear your thoughts! -Someone on YALSA-BK posted that they went and saw a screening of Tomorrow When the War Began in Australia and they really enjoyed it. I'm keeping my fingers crossed for a US release! That's it for this week! Any other great YA movie news? 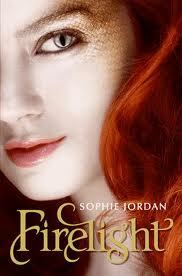 About the Book: The planet Lorien has been destroyed by a group of aliens called the Mogadorians. Nine young Lorien's escaped along with their Gardes (who are guardians of sorts) and fled to Earth. 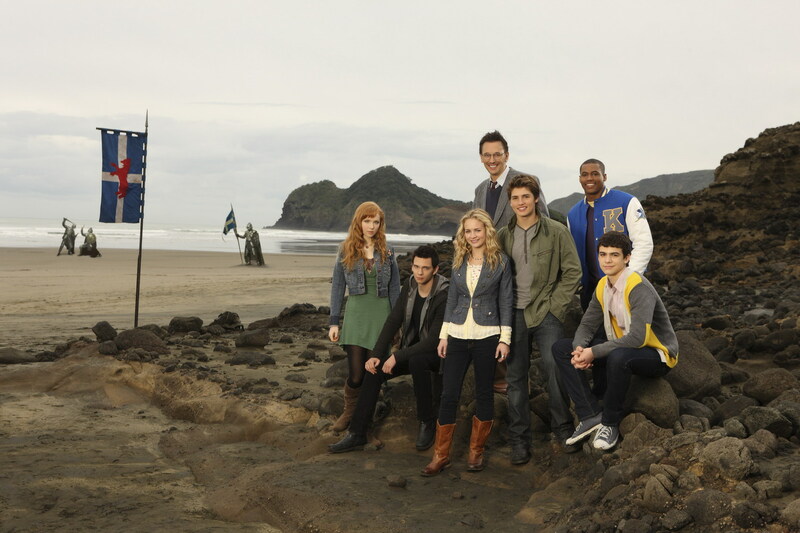 The Mogadorians are searching for the nine who have been living in hiding. A special charm makes it so the nine have to be killed in order. Three have been killed and John is number four. John has lived his life on the run, changing names, moving from town to town. His latest move leads him to Paradise, Ohio, where he finally gets a chance to make friends and meets a girl named Sarah who he can’t stop thinking about. But the Mogadorians are after John and they're closing in-and he has to be ready to fight, no matter what. GreenBeanTeenQueen Says: I was very excited to read I Am Number Four because I was a huge alien and science fiction fanatic as a teen. I read Roswell High, watched the Roswell TV show, and was obsessed with X-Files and Star Trek. So this book seemed like it would be right up my alley-teen book with aliens and romance, seemed perfect right? But I think I may have hyped the book up too much in mind. I liked it, but there were also things I didn’t enjoy. So I’m going to break this review into two parts-the pros and cons because I feel like that's the easiest way to organize my thoughts on this one. Pros: So I liked that there was a romance, but it wasn't the main focus of the story. Sure it was there and it was important, but it wasn't what the plot hinges on. John makes friends, he has people outside of Sarah that he talks to and confides in, and I really liked that he built a support group and that his friend Sam played a pretty big role in the book and was my favorite character of the story. The story is pretty entertaining. It's a long book and there are a few parts that seem bogged down, but for the most part it's an engaging read. I like the history of Lorien and learning about the nine's legacies (special powers), the history of their planet, and more about their race. I also liked that there was a lot of action, which I think will appeal to adventure readers. There's less focus on the teen angst and more the action of the story. Cons: I felt like it was written too simplistically. There were parts that reminded me of a story my husband wrote when he was twelve (and this happened, and then this happened and what's that-oh it's this!) I felt like the authors didn't quite understand writing for teens and writing YA. The ARC I read suggests the book for ages 14 and up, but aside from a few cuss words and the mention of a fire being started by drugs, I didn't think it was anything middle school readers couldn't read. For a 14 and up book, the writing felt more middle school. The action scenes were somewhat muddied and hard to follow, but that could just be my reading style-I like my action scenes more thought and spelled out I guess. I think the big battle at the end was somewhat odd to read because we aren't told much about the bad guys, but suddenly we're supposed to understand what these beasts are that are attacking. The book was a little long and slowed down in parts that really could have been cut. I also felt some of the things that happened were a little too convenient-oh and by the way, we have this magical power or item that we're revealing right now because it's convenient to the plot! 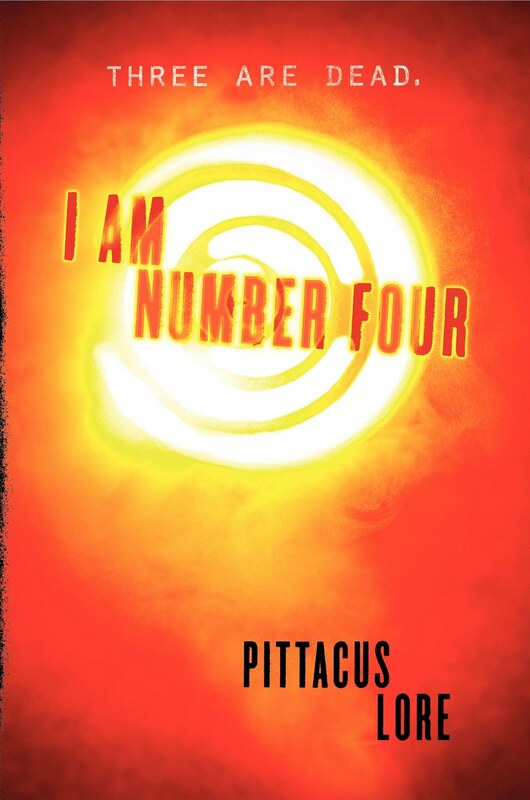 Overall I did enjoy I Am Number Four and I'm curious to see how the story will continue especially since there are supposed to be six books total in the series. The book reads like a movie, so I'm not surprised to see this one becoming a big blockbuster film. I do hope the writing gets better as the series goes on. I can see this one gaining a good fanbase of teens and I really think science fiction is on the rise in YA. I would expect this one to rise in popularity once the movie releases next year. About the Book: Shay has always been the 'sick girl' due to a rare blood disorder. Shay has to have blood transfusions to help through her day and all she longs for is to be a normal girl. Her step-father and doctor Martin has a new type of blood that he's trying that makes Shay feel better than she's ever felt-she can run, swim and has more energy than she's ever had. But the blood that Martin is giving her isn't human and Shay begins to have visions of a life as a vampire named Gabriel-and Gabriel just might be closer than she thinks. GreenBeanTeenQueen Says: OK, for full disclosure and fair warning and all, I am a HUGE Melinda Metz fangirl. I read her series Roswell High in high school and was obsessed and I loved Fingerprints when I was in college. So when I received an ARC of Crave I did the biggest happy dance possible. But I was also nervous about reading this one. I knew Melinda and Laura had written together on the TV version of Roswell, which I also loved, but what if I didn't end up liking this one? What if my fond memories of those previous series were set too high for me to enjoy Crave? I didn't have to worry-Crave won me over and transported me back to sixteen. (And I mean that in a good way!) My teen self took over and I was fangirling all over again. Vampires and paranormal stories are showing up everywhere so I really liked that Crave had a fresh take to it. Shay needs Gabriel's blood to live and I really liked the dynamic that created between the characters. It does take awhile for the story to really get going-you know as the reader that Gabriel is going to come into play more, but it takes a good amount of the book to get there as the author's are setting up Shay's life and backstory. I would have liked a little less about her school life, but that might be due to the fact that the back of the book gave away too much of the plot so I knew what was coming. I loved the flashbacks to Gabriel's vampire life and family and liked how we got to know him before we met him. It did take awhile for Gabriel to actually come into the story but the flashbacks helped develop his character and I really liked reading about him. 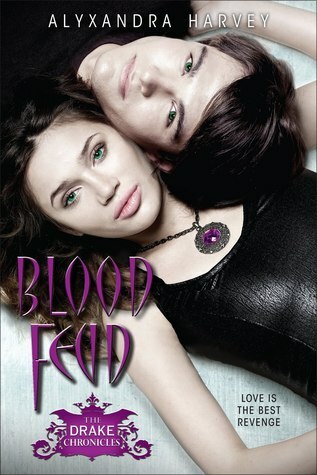 I also loved his family and the vampire backstory and how his family was created. I have conflicting feelings about his father figure, Ernst, and I'm interested to find out more about him. I want to know more about Gabriel's vampire family! Shay on the other hand would alternately drive me crazy and make me like her. I understood her motivations, she'd never been able to do anything and always had to be the 'sick girl' but man she mad some stupid decisions! I think part of my frustration with Shay was my adult self yelling at her for not being smart. But I understood why she did what she did and I felt it made her realistic. She wanted to live her life fully because she'd never had the opportunity to before. Even though there were times I wanted to yell at her, Shay also had moments where she really shined and I really did like reading about her. She's sensitive and thoughtful but also flawed and frustrating and that's what makes her a great character to read about. The romance has a great push and pull to it-they want to be together but they don't and that makes for a great romance. Plus it has enough love/hate dynamics and build up that it makes the romance aspect pretty hot. The whole story kind of read like something that could easily be turned into a TV show or movie, and I think that comes from the author's TV writing background. The ending felt fast and rushed and ends on a terrible cliffhanger, so I'm needing the next book ASAP! But even though there's more story to tell, I liked what I read in Crave that I wasn't terribly frustrated about the setting up for a sequel. Crave is an addicting read with great characters and fresh approach to the vampire genre that is sure to win readers over. I can't wait to read more-I'm so glad these writers are back! I wanted to say thank you to everyone who filled out the GreenBeanTeenQueen survey! Your kind words and feedback were so helpful and made me smile! I wanted to let you know of a couple of changes coming to GreenBeanTeenQueen thanks to your feedback. -I will start adding book pairings to the titles I review, since this seems to be helpful to readers, teachers and librarians. These aren't always read-alikes and a copy of the book reviewed, but instead books I think that would pair nicely in a book club or book discussion or things I think a reader of the reviewed title would also like. Most of these suggestions will be books I have read (and hopefully reviewed) on GreenBeanTeenQueen, but some might not have gotten reviews yet or are older reads, or are books that I have had suggested to me by my teens or other bloggers and I trust their opinions. -I asked if you'd like to see Book Talk Ideas, but then when I started adding them to my reviews, I realized I was just repeating my "About the Book" section. So I'm going to tweak my "About the Book" a bit and try to make that something that you could copy and use as a book talk if needed. Hopefully that's helpful to my fellow librarians and teachers. -There's lots of mixed opinions on book ratings, and since I haven't found the perfect system and I like it and several of my readers like it, I'm keeping my book ratings as is and will continue to rate books. I'll give half ratings and sometimes a .25 or .75 because it is really really hard to find the perfect rating. But I'll round up on Goodreads and Amazon and my rating scale meanings will remain 1-5. -I got Mr. GreenBeanSexyMan to serve as a Reader Selector for the Gateway committee, so that means he'll be reading more YA-(haha-sucker....I mean-yay, what a great husband!) so I hope to get his reviews of the books he reads. Plus, you guys can help me pester him into reading more YA-any suggestions for a great YA fantasy series he should read and review? 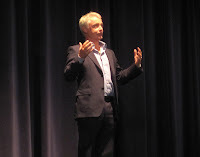 -Look for more posts on life as a teen librarian, my adventures in the library, and programs that I run at my library. I love these posts and it seems that my readers do too-yay!-so I'll start including more library related info. Thanks for all the feedback and thanks a million for being a reader of GreenBeanTeenQueen-you guys rock! 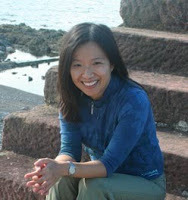 Please welcome author Y.S. Lee to GreenBeanTeenQueen! Be sure to find Y.S. Lee on Twitter and her website. This tour is part of Traveling to Teens, so you can find the tour schedule on the site! 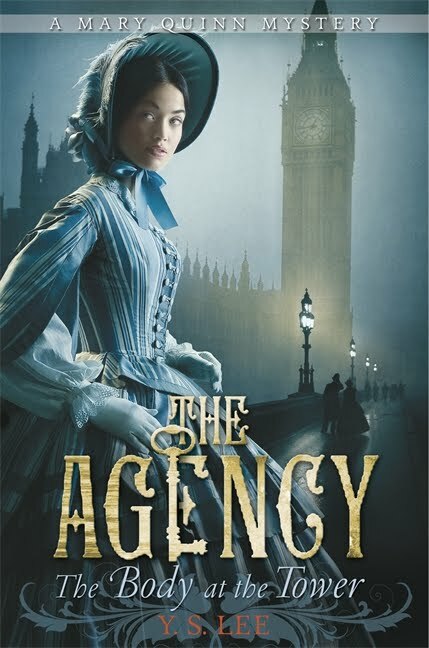 And don't forget my reviews of A Spy in the House and The Body at the Tower! Welcome to the second installment of the Body at the Tower blog tour! It’s lovely to be back here at GreenBeanTeenQueen – like visiting a friend. If you missed my first essay, on American firebrand Victoria Claflin Woodhull, it’s up at the Story Siren. And stay tuned for 6 more profiles of Notorious Victorians over the next 2 weeks. Today’s Notorious Victorian is Annie Besant: author, birth-control educator, socialist, and anti-colonial campaigner. She was born in 1847 and received an unusually good education for a girl of her time. At nineteen, she married a clergyman with whom she had two children. They came to disagree on nearly everything. After attempts to reconcile, Besant eventually left him and went to London. Besant’s intellectual life flourished once she was her own. In 1877, she and close friend Charles Bradlaugh published a book by American birth-control campaigner Charles Knowlton. Their position was that to be happy and financially secure, working families had to be able to decide how many children to have. The book triggered massive public debate – as well as the arrest of Besant and Bradlaugh. Although the case against them was eventually thrown out on a technicality, the furore surrounding Besant had personal repercussions: arguing that Besant was unfit to be a mother, Besant’s husband took full custody of their two children. Besant campaigned on behalf of poor Londoners, working closely with playwright George Bernard Shaw and members of the social-campaigning Fabian Society. She was elected to the London School Board, and struggled to win better wages and working conditions for match-factory and dockyard workers. As someone who’d always been proud of her Irish background (at a time when the Irish were often regarded as racially inferior to the English), she believed in Home Rule in Ireland and made the logical leap to India, too: her public lectures, articles, and demonstrations in favour of Indian independence were a very real part of the movement’s success. Like Victoria Woodhull, Besant’s interests were strongly influenced by her own experiences – a failed marriage, marginal ancestry, a loss of Christian faith. However, Besant’s passionate interest in the poor and the politically oppressed also guided her towards direct political action against government. Both Woodhull and Besant, though – firebrands in the brightest, strongest sense of the word - flouted conventions of gender, social class, and polite behaviour to fight for what they so deeply believed to be right. Do I still have your attention? If so, follow the tour tomorrow to Lizzy’s Cornucopia of Reviews when my attention shifts from deliberate firebrands to reluctant revolutionaries.